Sydney is Australia’s most famous and premier city filled with plenty of things to see and do. 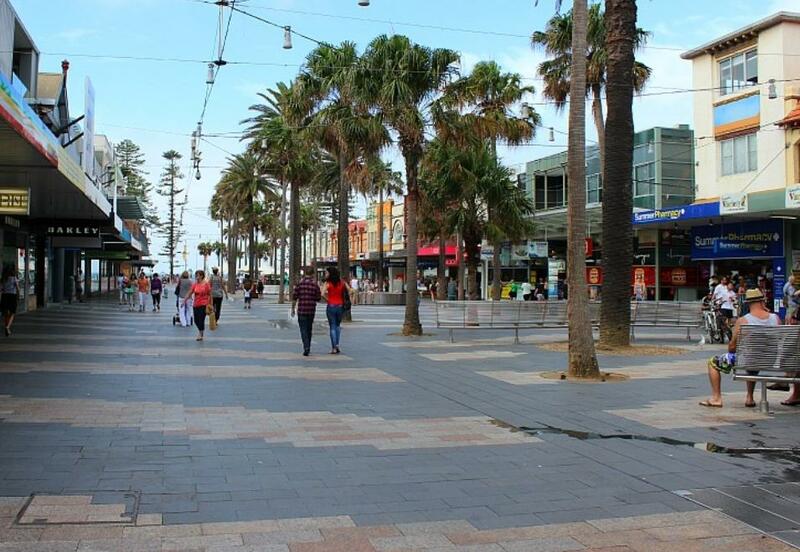 The vibrant city is known for its beautiful beaches, diverse culture, historical landmarks and good restaurants. The possibilities are endless with so many places to visit. It’s unquestionably beautiful, clean and endless gorgeous beaches. 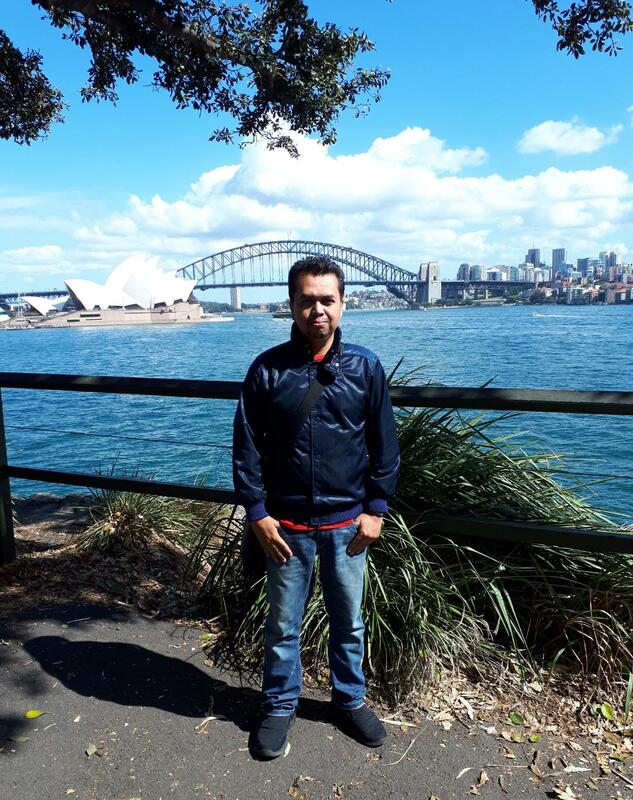 It was a dream comes true when I had the opportunity to join this trip to Sydney. 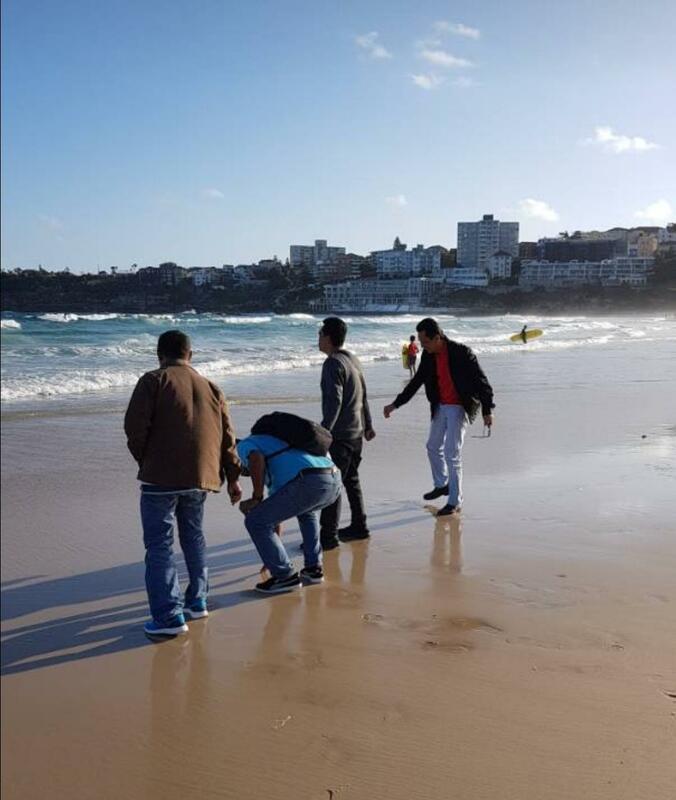 The trip was in October 2017 during the spring. A perfect time to enjoy the fantastic weather. 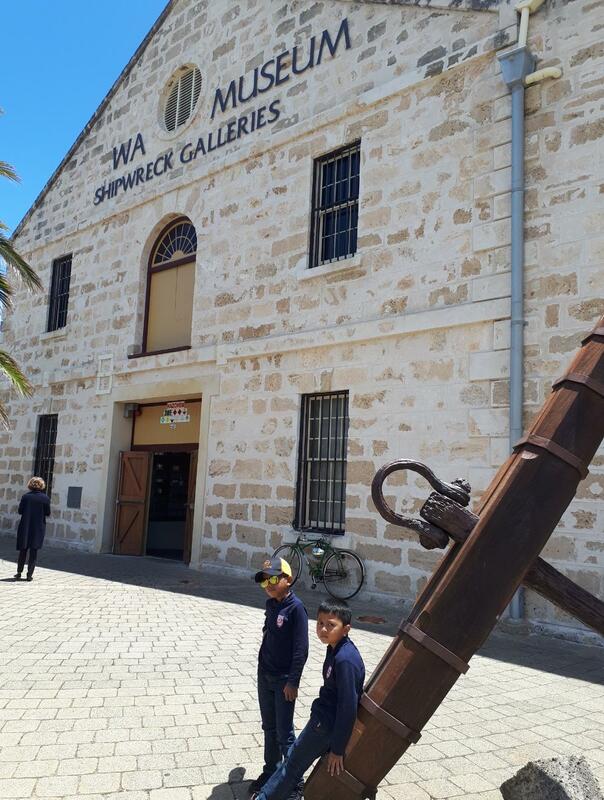 The city has so much to offer and it’s impossible to fit it all into the maiden voyage of four-days tours. We departed from KLIA at 11.10pm. The journey took us for nearly 8 hours direct flight to Sydney where we’re safely landed at Sydney International Airport at 10.15am local time. We had to wait for another 20 minutes upon touched down before we’re allowed to get off to arrival hall for a normal immigration check-point and to fetch our luggage afterwards. It was a rainy day at Sydney. We were greeted by a friendly and smiley tourist guide, a Taiwanese lady who has been a tourist guide for almost 8 years here. We moved in to a mini bus heading to InterContinental Hotel which is about 11km from Sydney Airport. 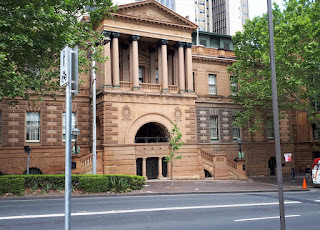 The hotel is located at Macquarie Street which was built in 1851 and was formerly the Sydney’s Treasury Building. This hotel is situated within a short, easy walking distance to the Sydney Opera House, local ferries, botanical gardens and other attractions. The hotel is beautifully maintained, rooms are large and clean, and the service is impeccable. 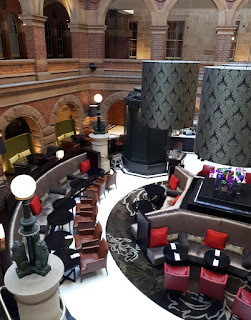 Relics of the building’s history remain in The Cortile, the hotel’s elegant spot for high tea and cocktails. 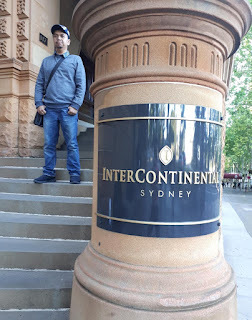 Intercontinental sits opposite The Royal Botanic Gardens with The Sydney Opera House just a three-minute stroll down the hill. Circular Quay is located behind the hotel and is the best place from which to take ferries, buses and trains to explore all aspects of the city. Many of Sydney’s finest restaurants are dotted throughout this end of town; surprisingly we spotted “Jimmy's” a Malaysian food outlet here! 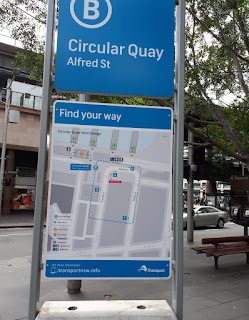 Check out some of the interesting places during our four-days tours in Sydney ..
Circular Quay is always a hive of activity being a major transport hub interconnecting trains, buses and ferries. Circular Quay is also central to Sydney's major attractions: The Sydney Harbour Bridge, The Rocks and Sydney Opera House. There are often many talented buskers and street entertainers delighting passers-by. 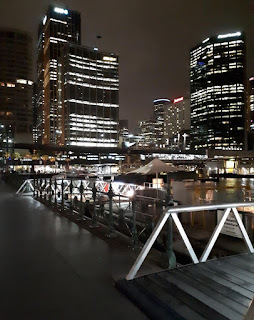 The view is amazing, we just sit and do nothing for free, the coffee is affordable and there are always people to watch. 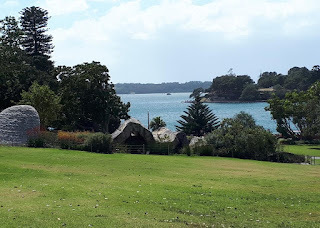 The area also offers a selection of dining options as well as centers for tour bookings, day trips and harbour cruises. The Circular Quay railway station was opened since 1956 and the surrounding building filled up with the small cafe, street foods and convenient stores . We had our late lunch on the 1st day of tour at "Jimmy's" which is located on the second floor of the Gateway building. The place was just 10 minutes walk from the hotel. 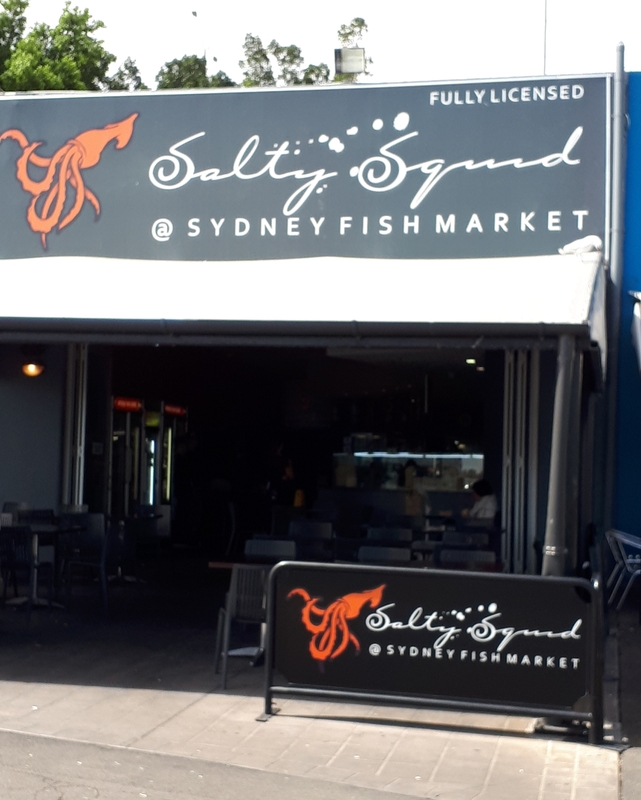 With a view of Circular Quay, this casual but stylish eatery offers all the Malaysian classics such as laksa, Hainanese chicken, Fried rice, chicken curry and beef rendang. 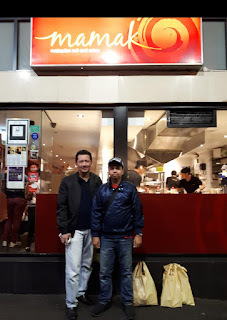 Nothing to shout about, it was just okay for me but the empty stomach make us really enjoyed the food plus it was a rainy cold day!! 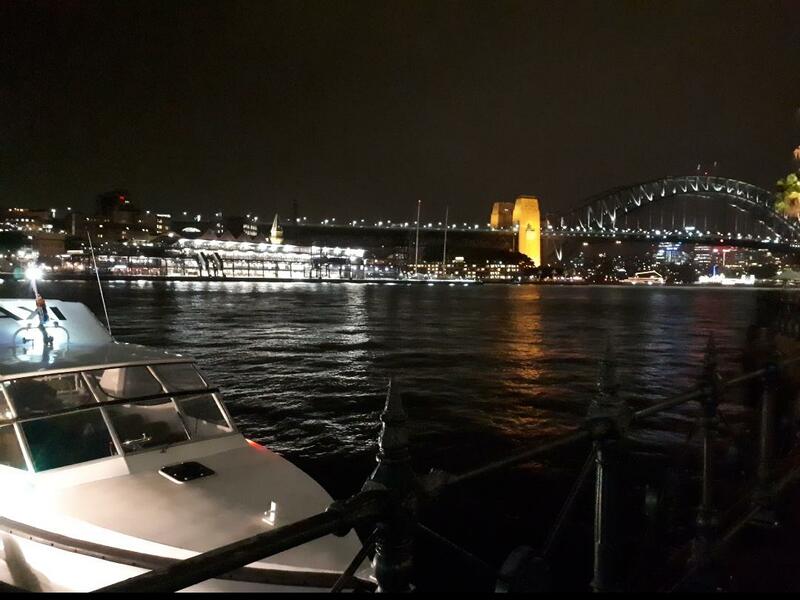 A night view at Circular Quay was simply spectacular. 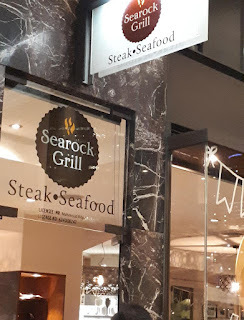 We enjoyed a night walk along the Circular Quay street after having dinner at Searock Grill Steak & Seafood, a nice restaurant serving a good and tasty western menu. 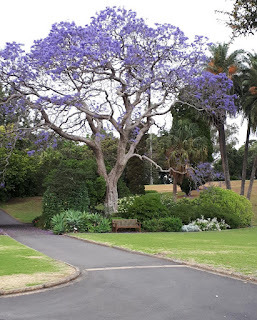 The Royal Botanic Garden Sydney is a major botanical garden located in the heart of Sydney, New South Wales, Australia. Opened in 1816, the garden is the oldest scientific institution in Australia and one of the most important historic botanical institutions in the world. 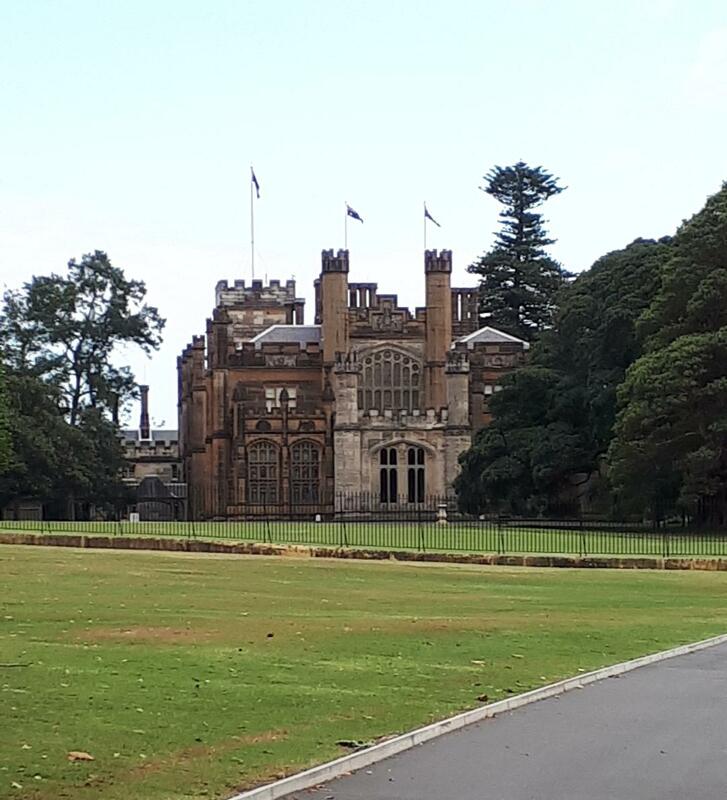 It is open every day throughout the year and the access is free. 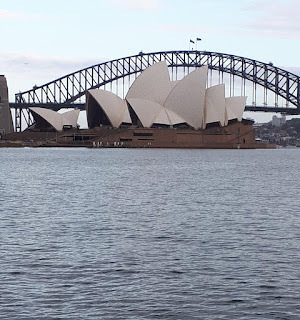 Its stunning position on Sydney Harbour and immediately adjacent to the Sydney central business district, the Sydney Opera House and the large public parklands ensure it is one of the most visited attractions in Sydney. This is a very visitor-friendly park; it even has signs stating 'Enjoy! walk on the grass'. It makes the Botanic Garden a great place for picnics, but it also allows us to walk close to the many magnificent trees and plants. 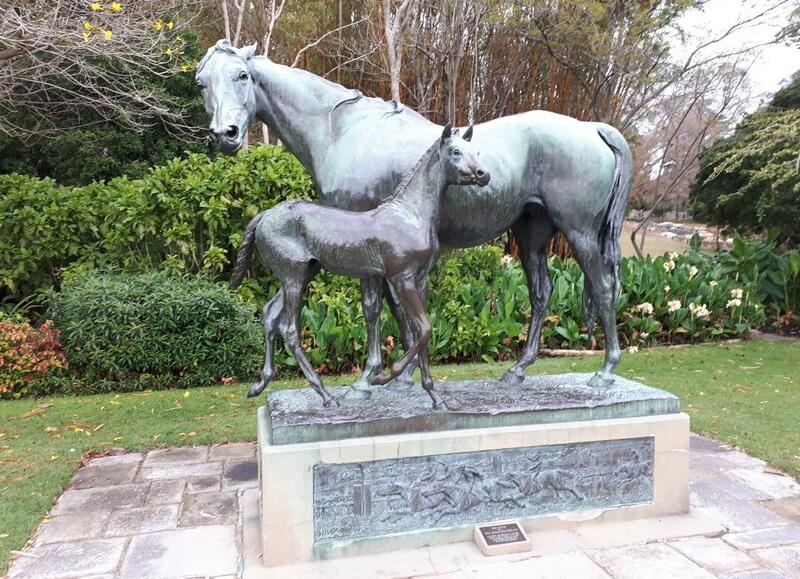 The gardens feature a large number of plant species from Australia and abroad and the domain surrounds the Gardens featuring spectacular parklands ideal for sport, recreation and entertainment. I hadn’t missed the opportunity to enjoy the morning walk across the garden. 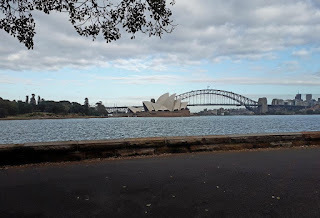 A clear view of Sydney Opera House is perfectly caught from the garden and many passer-by and joggers had a good time enjoying the view of the iconic building.Walking through the gardens and along the seawall is such a relaxed and quiet way to start my day here in Sydney! 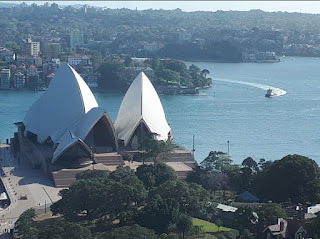 No doubt that the Sydney Opera House is one of Australia's most impressive architecturally designed buildings designed by Denmark’s Jørn Utzon. The Sydney Opera House is a magnificent building, rightfully considered one of the wonders of the modern world. 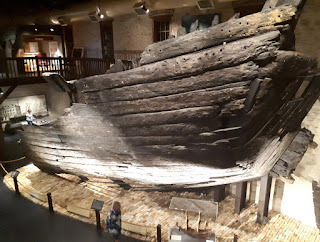 Located at a prominent location on a peninsula near Sydney's harbour, it is reminiscent of a ship in full sail leaving harbour. 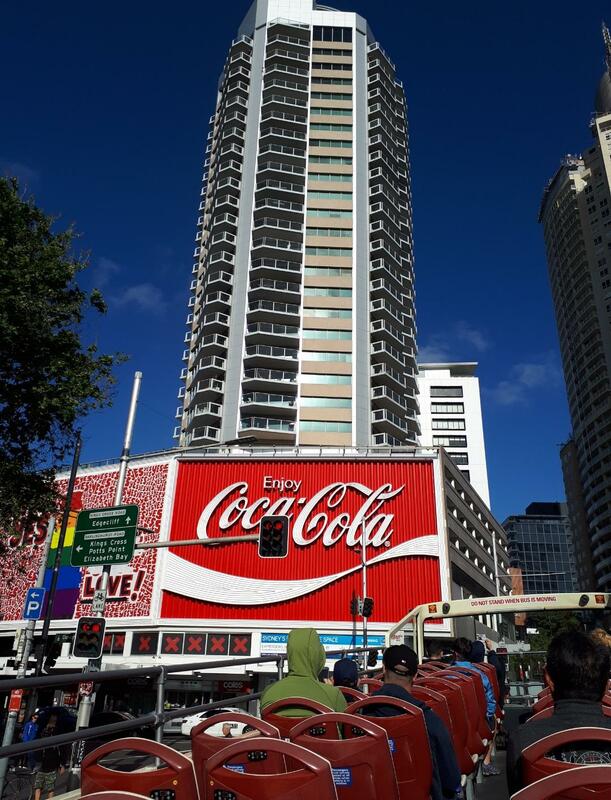 The building became an instant iconic landmark when it was completed in 1973. The building consists of World-class Performing Arts Centre. The Sydney Harbour Bridge is a large steel arch bridge connecting the city center with the residential areas in the north. 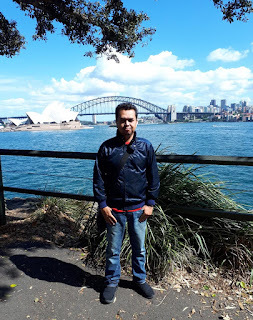 Its sheer size and beautiful location has become one of Australia's most famous landmarks after its opening in 1932.The much loved Sydney Harbour Bridge is a major focal point of the city of Sydney, connecting the city's CBD to Sydney's north. The bridge is showered in colour on New Year's Eve showcasing spectacular fireworks as the city celebrates and welcomes in the New Year. 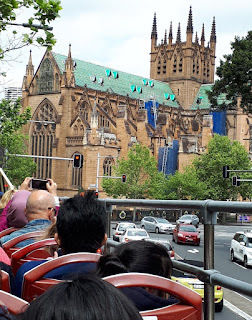 During the tour, we passed through the Bridge and get the clear view of the gigantic structure upon our ride on the Big Bus Tour. 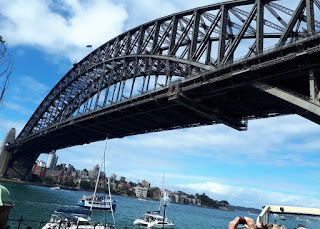 Perhaps the most spectacular way to visit the bridge is the popular Bridge Climb, a three and a half hour tour with a two hour walk to the top of the arch, 134 meter above sea level. Safety precautions and instructions include a 'Climb Simulator' and a blood alcohol reading.. 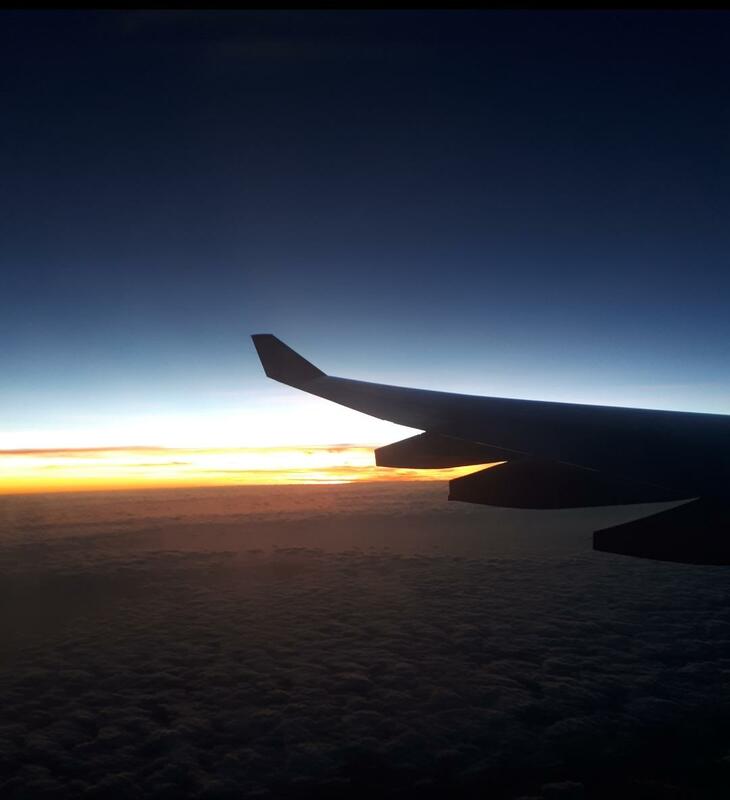 There are day and even night climbs. We were told by the audio commentator in the bus that we will not be able to take a camera during the climb, but the guide always takes a group photo, so we will have some souvenir. This Bridge Climb will be in my wish lists in the future! 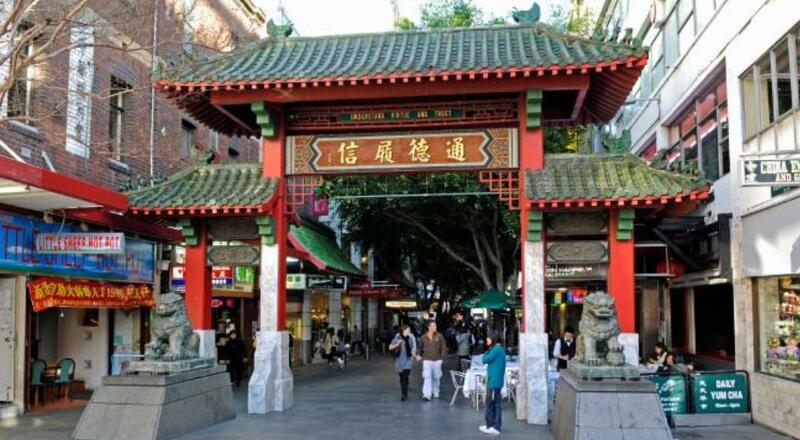 Chinatown is situated in Haymarket, between Central Station and Darling Harbour and is Australia's largest Chinatown since the 1920s. 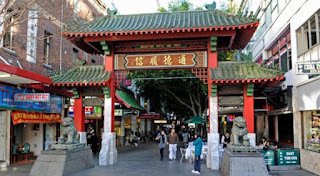 It is where numerous Chinese restaurants operate and many restaurants stay open late till 3 or 4 am in the morning. China Town is the market city which is famous for affordable designer fashion with over 30 factory clearance outlets, restaurants, cafes, gourmet food specialists and a food court with a licensed bar offers cuisine from all over the world, over 100-retail shops including Australia's largest Yum Cha restaurant. 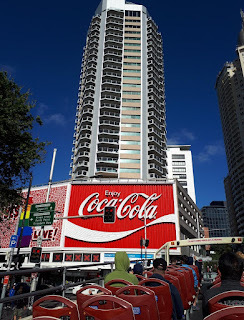 At first, we planned to look for cheap souvenirs at Paddy’s Market which also located at Haymarket. 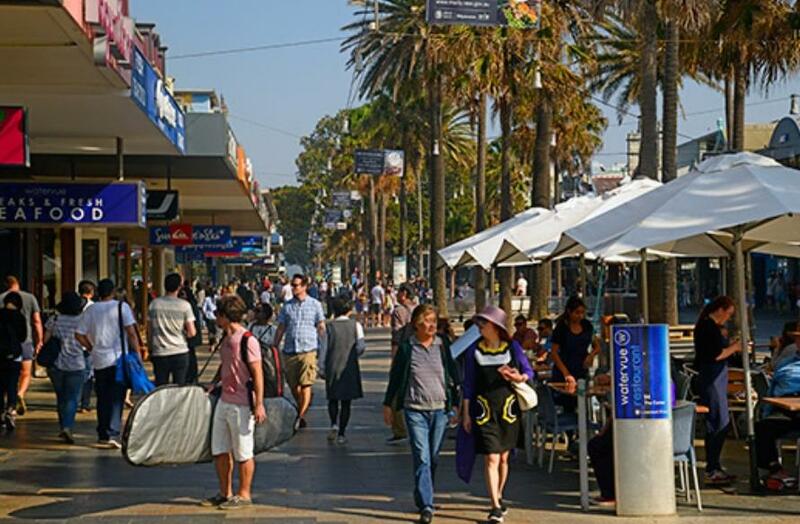 Paddy's Market contains many small shops and stalls selling clothes and giftware where you can pick up some bargains. Unfortunately the market closed at 6.00pm and we're late by 30 minutes. We went to China Town instead which is just few meters walking opposite the Paddy's. China Town also offers some cheap souvenir shops though less variety of choice if compared to Paddy’s. Walking down to the street was enjoyable. The China Town always portrays the same unique image wherever they are in any city i guess...Chinese influenced architectures, open restaurants, street foods, souvenirs, clothes and handcrafts, much like our own Petaling Street. 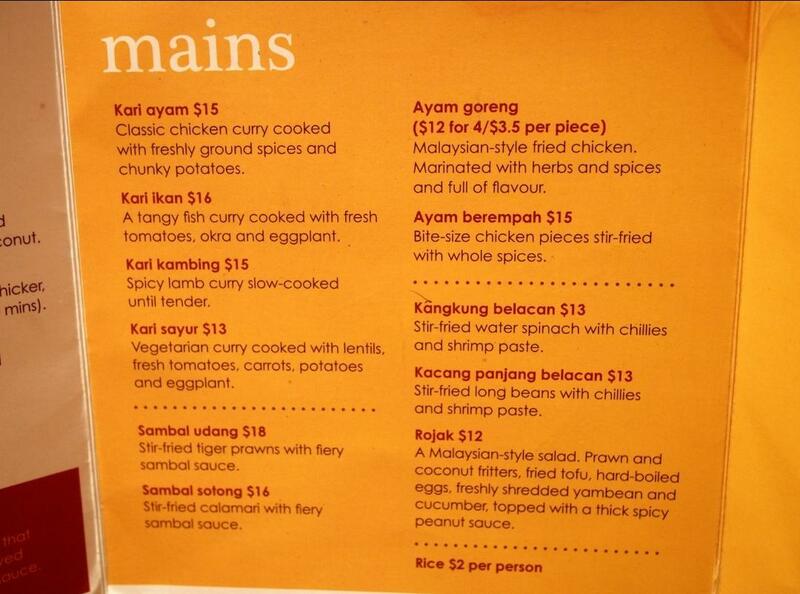 To our surprise we bumped into a Malaysian Cuisine restaurant named Mamak!!. 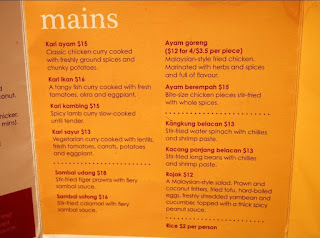 We had satay with kuah kacang and Nasi Goreng Kampung for our dinner there. 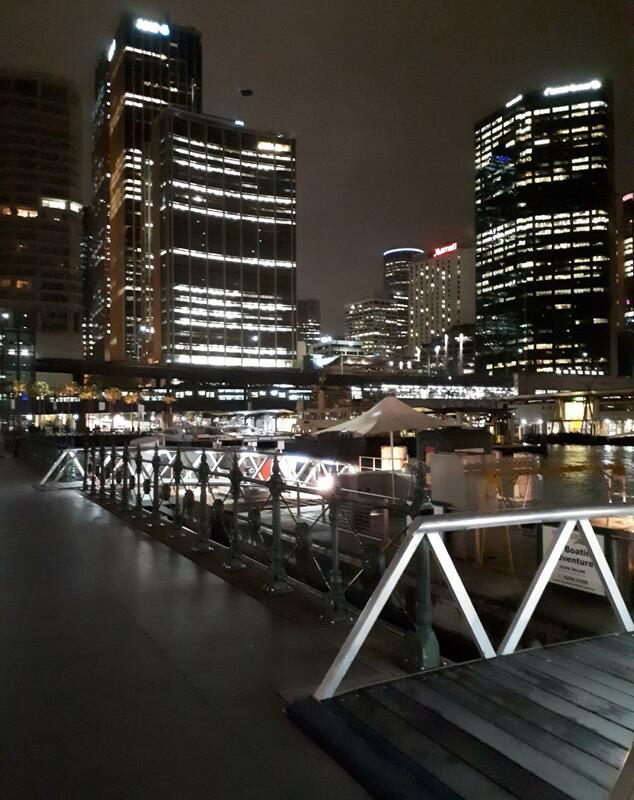 It was almost 10.30pm when we decided to walk back to hotel about 2km distance from there. 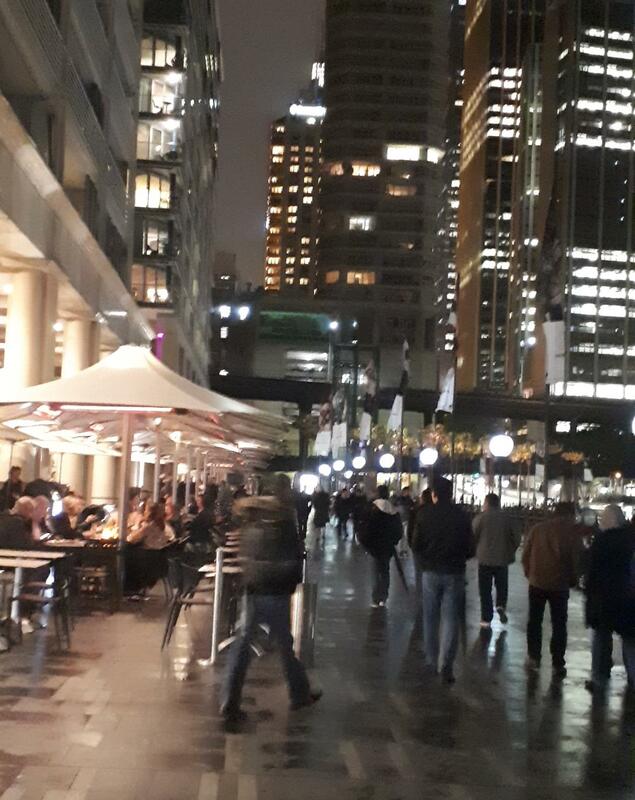 Just enjoying a night view of vivid Sydney in a cold weather of 16°C. 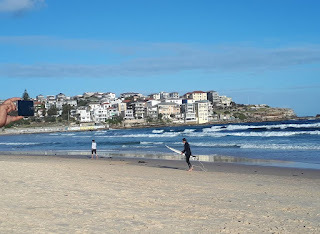 Bondi Beach is an iconic stretch of fine sand and curling waves and one of the world’s most famous beach destinations. 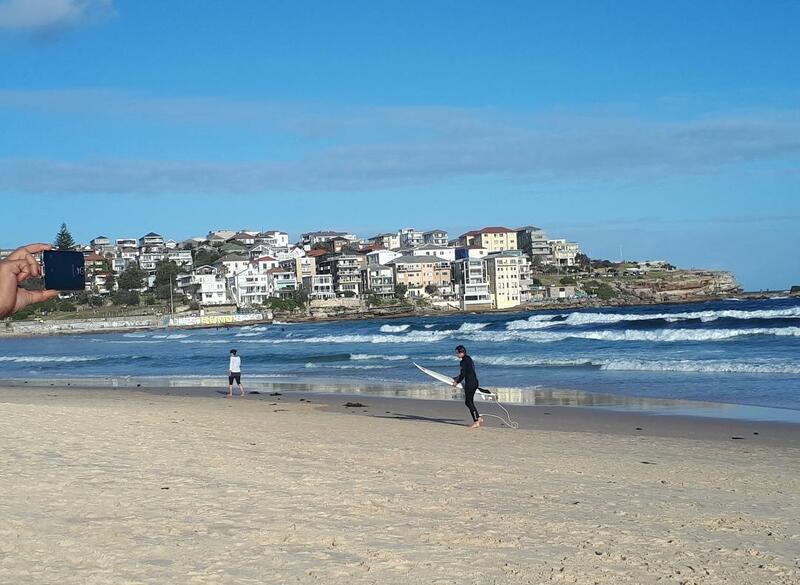 You’ll enjoy Bondi at any time of the year. The beach is flanked by sandstone headlands, which are popular for walking, golfing and whale watching. 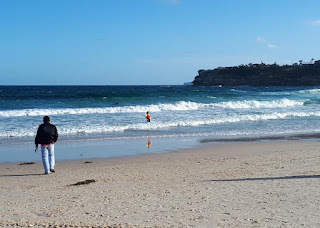 Bondi Beach is 30 minutes from Town Hall Station by train and bus, and offers visitors insights into Australia’s easy-going beach culture. 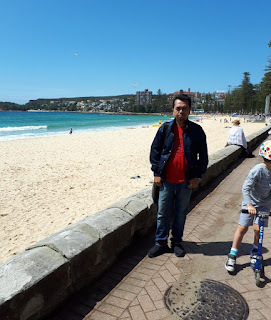 We went to Bondi Beach on the 2nd day of the tour via Bondi Explorer big bus and were really eager to enjoy the cold and breezing air facing the fascinating view of the white sandy beach. It almost 5.00pm and the cool windy weather during spring has probably attracted lesser crowd as compared to a usual large turn out during the summer starting from December-February every year. 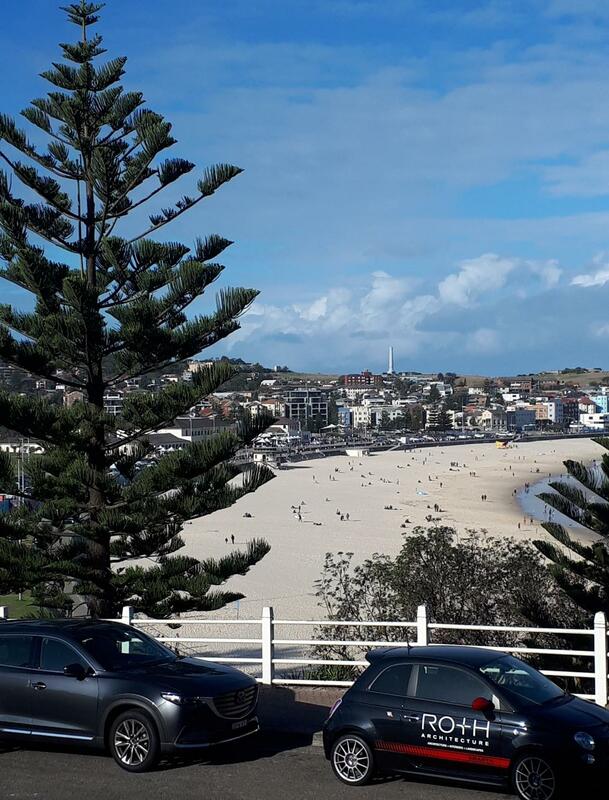 Manly Beach is one of Australia’s most famous surfing beaches where the first world surfing championship was held here in 1964. 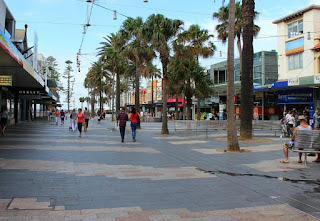 With a tree-lined promenade and a long stretch of fine soft sand, the beach is a popular destination for backpackers and families. We hanged out at The Corso -home to dozens of shops, bars, cafes, a supermarket, surf shops and gift stores brimming with indigenous art, boomerangs and other handicrafts. Down the line we enjoyed a perfect view of stalls selling handmade crafts, shirts, foods and souvenirs like our own Central Market in Kuala Lumpur except the stalls are placed in the open space along the shops. 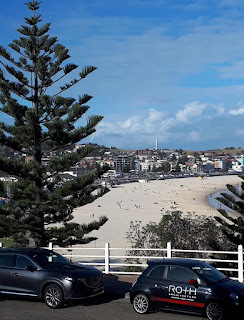 It’s also the perfect spot to pick up any beach gear one may have inadvertently left behind, as The Corso leads right to the beach. Manly can also easily be reached by ferry’s which run regularly from Circular Quay near the Sydney Opera House. The 30 minute ferry ride to Manly provides undoubtedly one of the best views we’ll get of a thriving Sydney harbour and the many beautiful harbour beaches along the way. 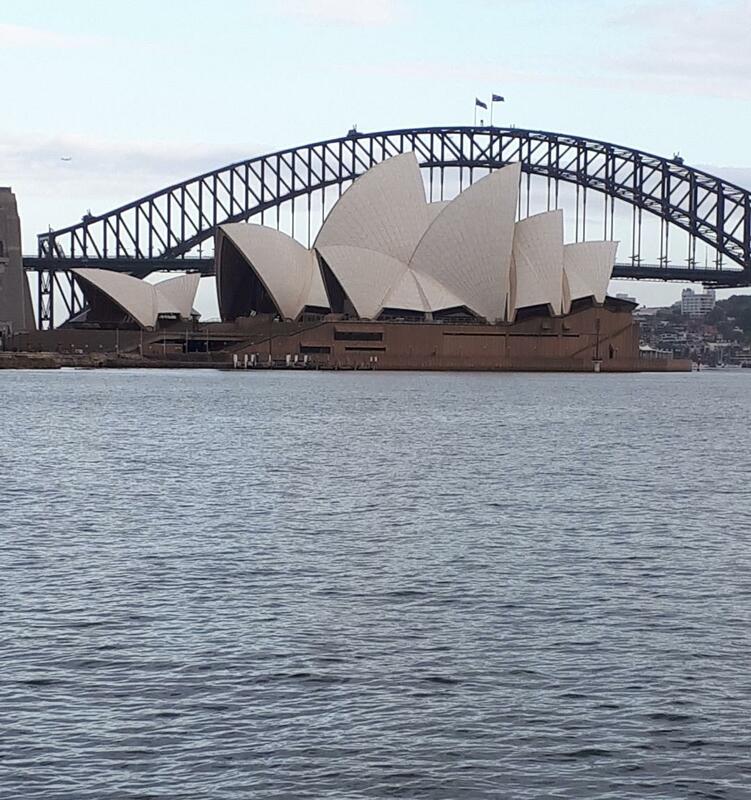 Okay..definately this gonna be the ultimate agenda for the future retrip to Sydney. 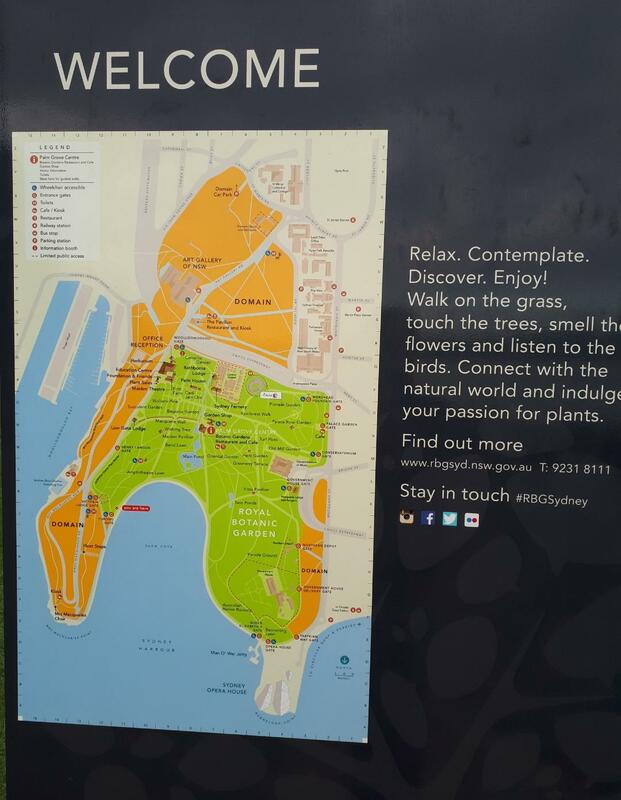 Birkenhead Point is Sydney's largest outlet centre located 6km from the Sydney Central Business District on Sydney Harbour. 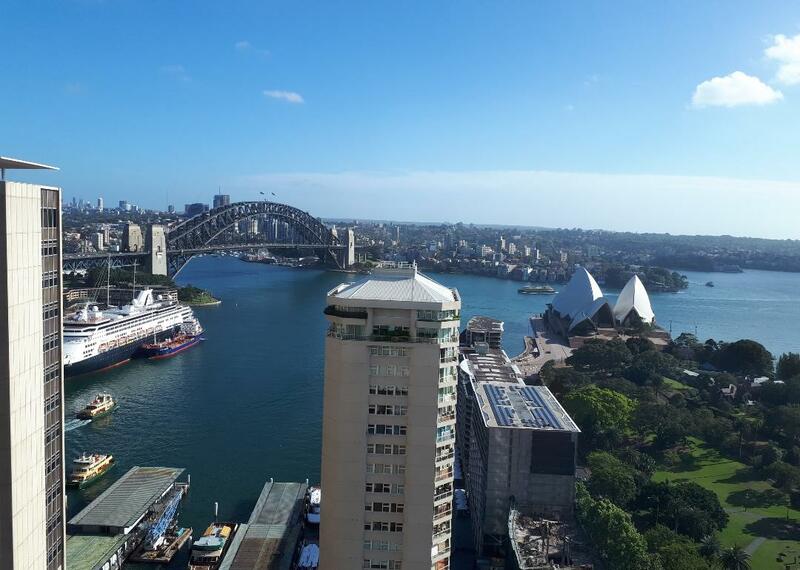 It is one of the only destinations in Sydney where you can shop at over 140 premium outlet brands whilst enjoying the spectacular harbour views. The premium precinct includes brands Bally, Coach, Harrolds, Armani Outlet and Hugo Boss along with Nike, Furla, Tommy Hilfiger, Calvin Klein, Polo Ralph Lauren plus many more. I must say that it's a great outlet shopping centre with a broad range of brands.The shopping centre is easy to move around in, easy to navigate. There’s a decent sized food court, which leads out to a great outdoor seating area overlooking the water. 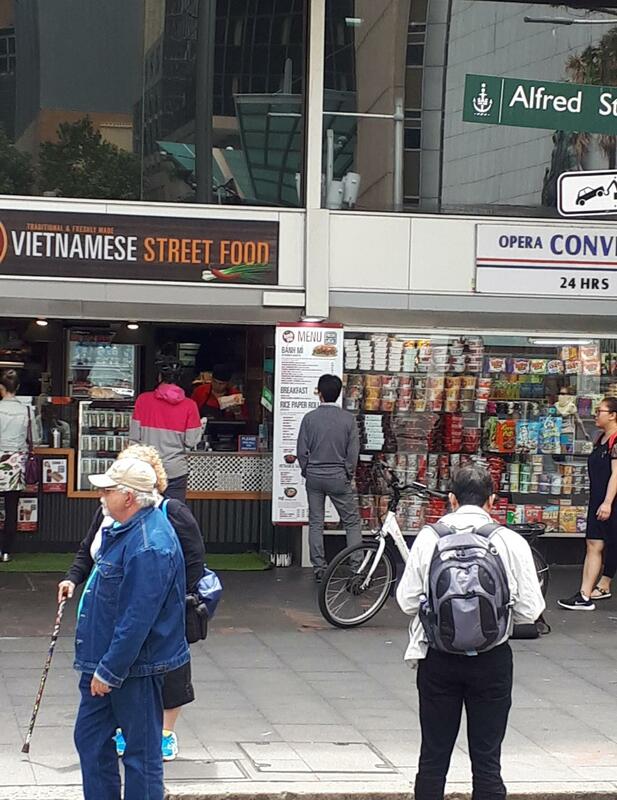 There’s also multiple cafes in the centre if food courts aren’t your thing. 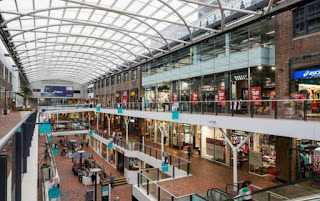 Birkenhead is a shopping paradise for the shopaholics in our group tour. 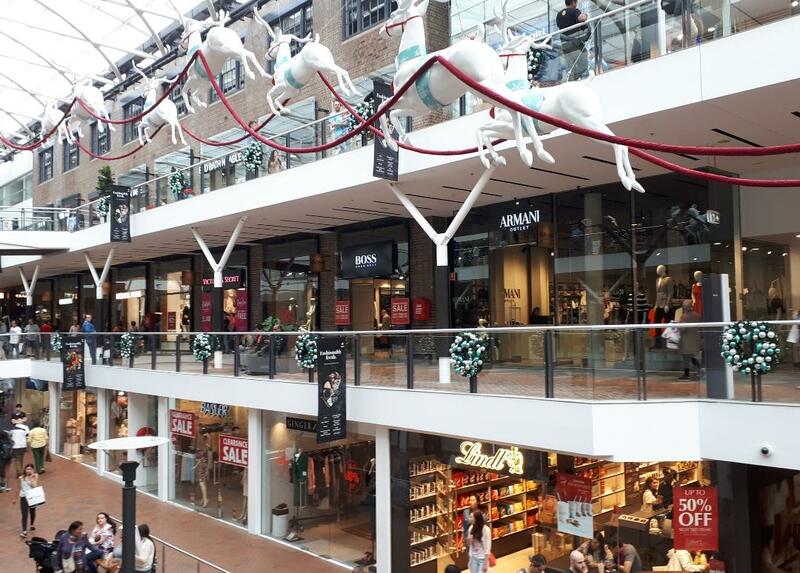 As for me, spending almost four hours at the outlet whilst waiting for them was really a perseverance experience! 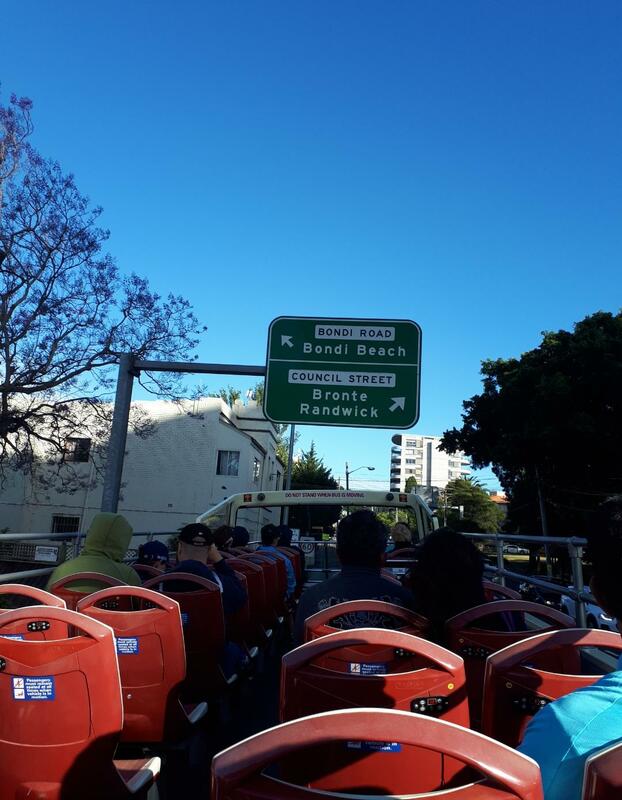 We can assure you that the best way to experience all the excitement of Sydney Australia is to ride on the Hop-on hop-off bus with Sydney and Bondi Explorer. 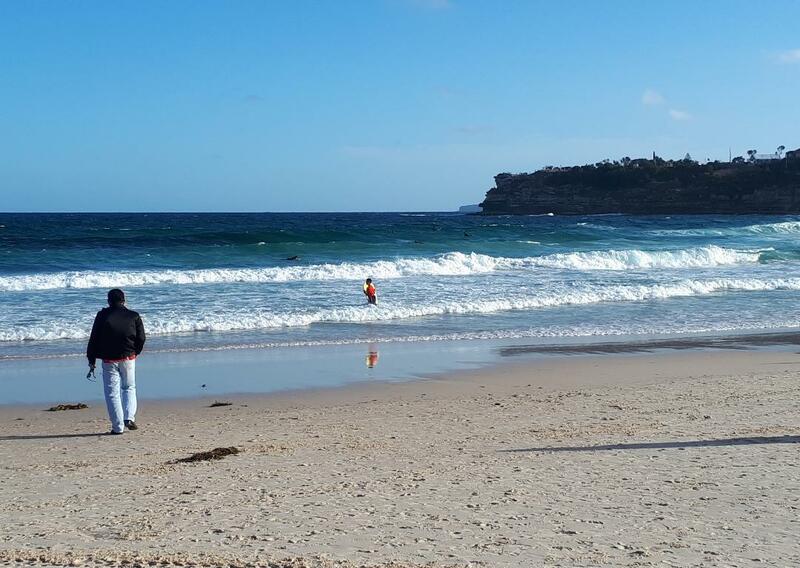 One ticket is valid for 24 hours on both the Sydney and Bondi Tours. Full commentary is provided on both tours. Visitors can get off at any of the 33 designated stops, spend as much time as they like sightseeing, and then hop on the next bus that comes along. Visitors can hop on and off as many times as they wish. You can buy a ticket that's valid for 24 hours or 48 hours, and buses run every 15-20 minutes. The double-decker buses offer passengers 360-degree views of the city from the open top, which means you can shoot a great photo and video opportunities without leaving your seat. There’s professional audio commentary come in different languages. Complementary earphones are also available on the bus. 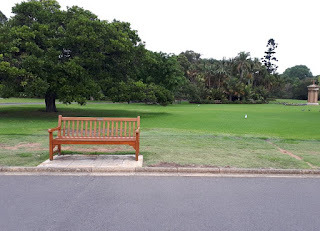 We took the bus ride on the 2nd day of the tour from the Botanical Gardens Stop (Macquarie St, Crystal Place Gate). 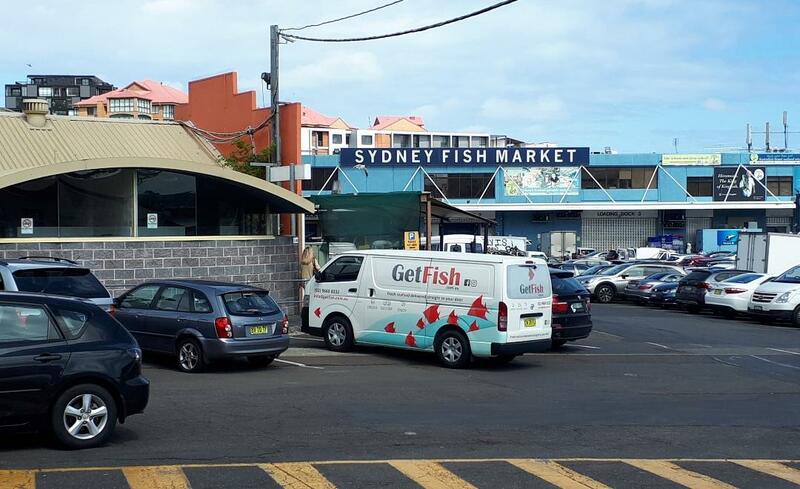 From there, we dropped at Sydney Fish Market (Harris St, cnr Pyrmont Bridge Rd). 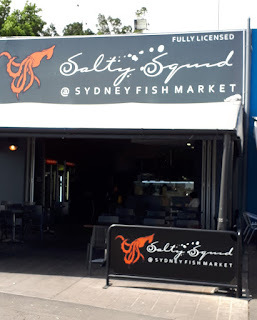 Within fifteen minutes’ walk, we reached at Sydney Fish Market and had a sumptuous lunch of Fish & Chips at the food outlet outside the markets. 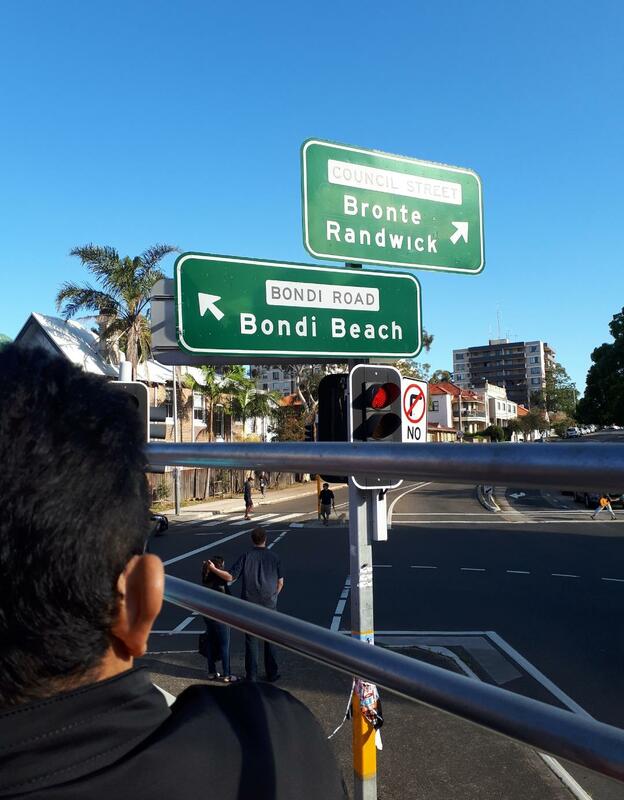 After almost one hour, we left the market heading to Bondi Tour. We took the ride from Cook & Phillip Park Stop and hopped on to Bondi Tour.It was a fascinating view along the ride towards the Bondi Beach and we finally reach at Australia’s gorgeous coastline. 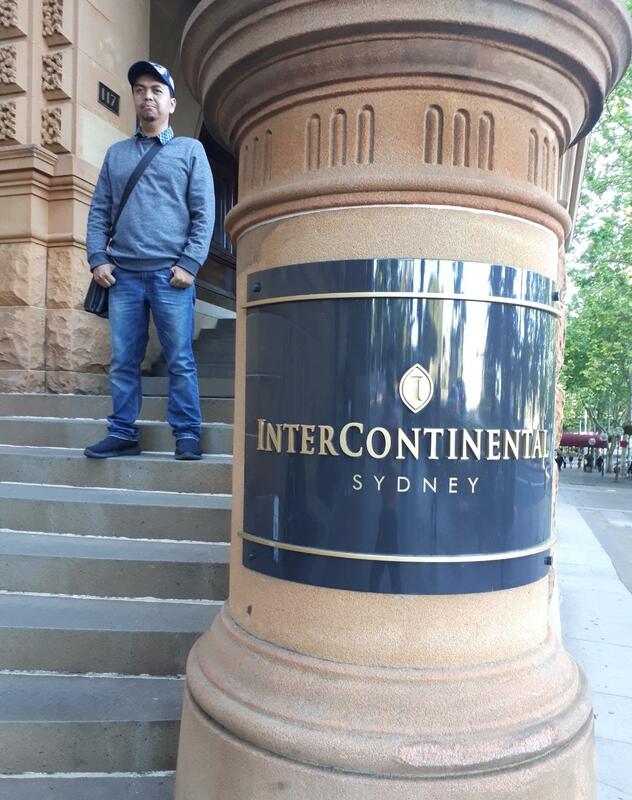 On the last day at Sydney , i just walked down to the city nearby the hotel. Our flight is in the evening and we still got plenty much of time to explore the city. 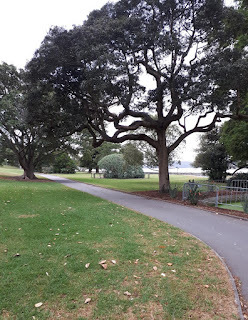 Sydney is very walk-able and it's basically flat with the streets are all well marked. 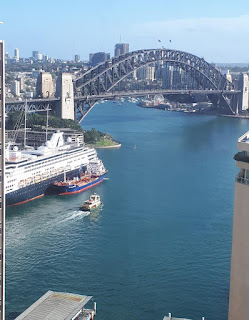 It’s a vibrant and cosmopolitan city with a relatively low crime rate,(According to a Mercer 2016 Quality of Living Survey over 450 cities, Sydney has been ranked in top 50 safest places in the world), good all year round weather, a beautiful coastal location, many parks and other green open spaces, good public transport links, and virtually every form of entertainment you could wish for. 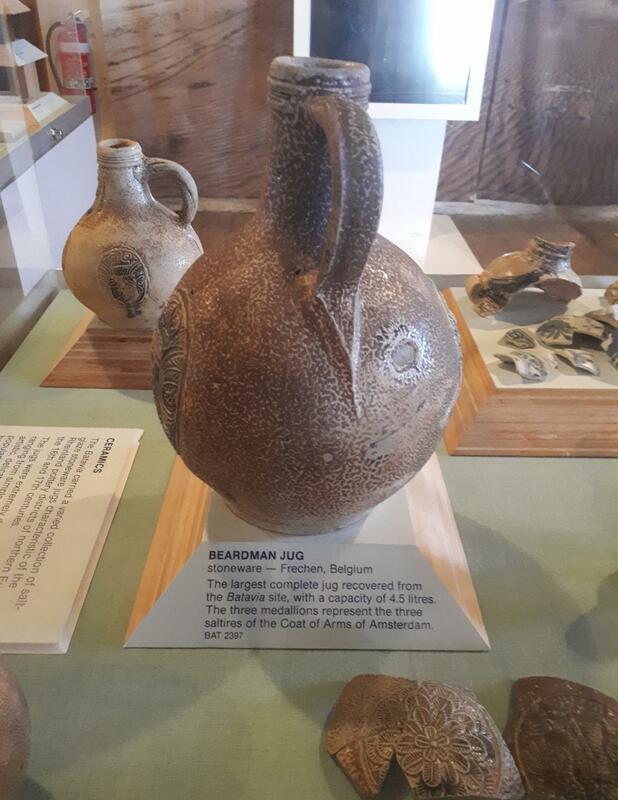 It also has plenty of history, and you could spend months doing little more than visiting all the places of interest in and around the city. In May, Sydney's historic landmarks become a canvas for brilliant light installations and projections during the Vivid festival of light, when the city’s buildings are illuminated each night. 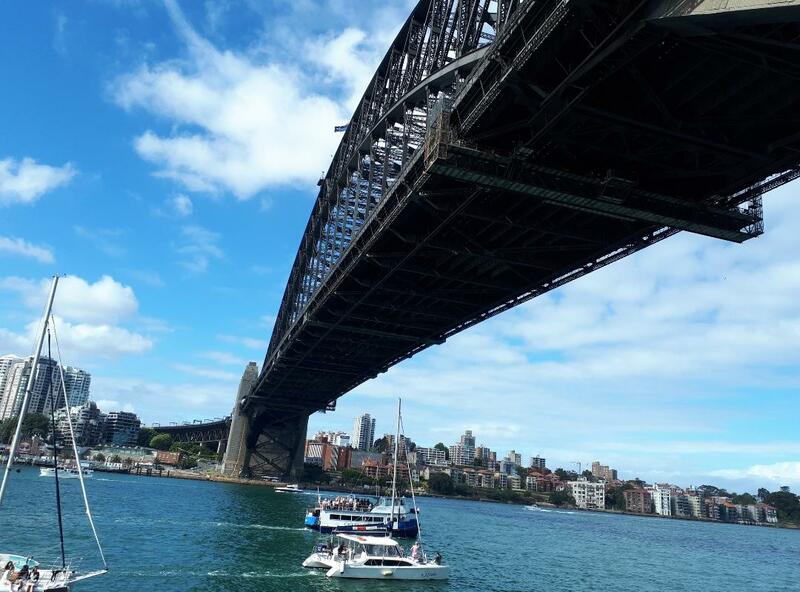 On New Year's Eve, people won't miss the party to gather around the foreshore and to take in the spectacular fireworks display from the Sydney Harbour Bridge. 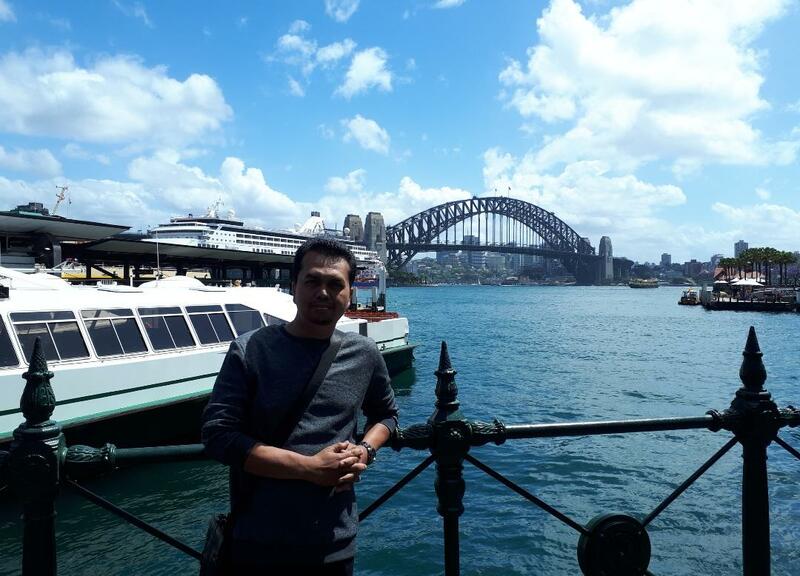 I will definitely come again to enjoy the vivid Sydney..
Jejak-Jejak Perth 2017 - Finale. Dah nak balik dah hari ni….only wish we could stay longer…..kalau lah sehari lagi ada masa, kami boleh lajak ke Pinnacles Desert tengok view gurun dengan batu batan purba atau bermain pasir sandboarding dekat Lancelin Sand Dunes…namun jaraknya jauh kira-kira 100km lebih dari Perth. So …ni kira a big reason untuk kami repeat datang Perth lagi next time….hahaha!!. Malam tadi sebelum tido, dah siap semua packing barang-barang, kemas rumah elok2, buang sampah apa yang patut. 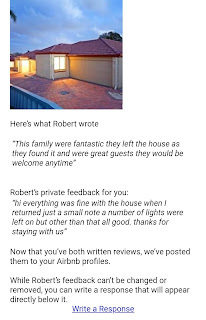 Booking through Airbnb ni ada owner’s review and feedback. 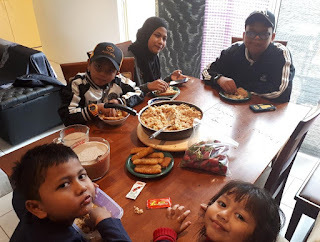 Jika kita jaga elok-elok check out rumah sama macam kita mula-mula kita masuk , owner akan bagi good review and recommend kepada owner Airbnb yang lain pulak…which is good la. Kita pun boleh bagi review pasal rumah yang kita stay ni. Breakfast pagi ni habiskan stok2 yang kami bawa, so luggage stok makanan hari tu dah diisi dengan souvenirs dan barangan yang dibeli disini…tak banyak pun, luggage pun dah jadi ringan. Siap amik gamba kenangan dalam dan luar rumah kat Balga ni, kami check out lebih kurang jam 9.00am. Kami janji dengan Mr. Fatkhi nak drop off keta kat airport kul 2.00pm. So ada masa lebih kurang 5 jam lagi kami untuk kami jejaki beberapa tempat di sekitar Perth ni. 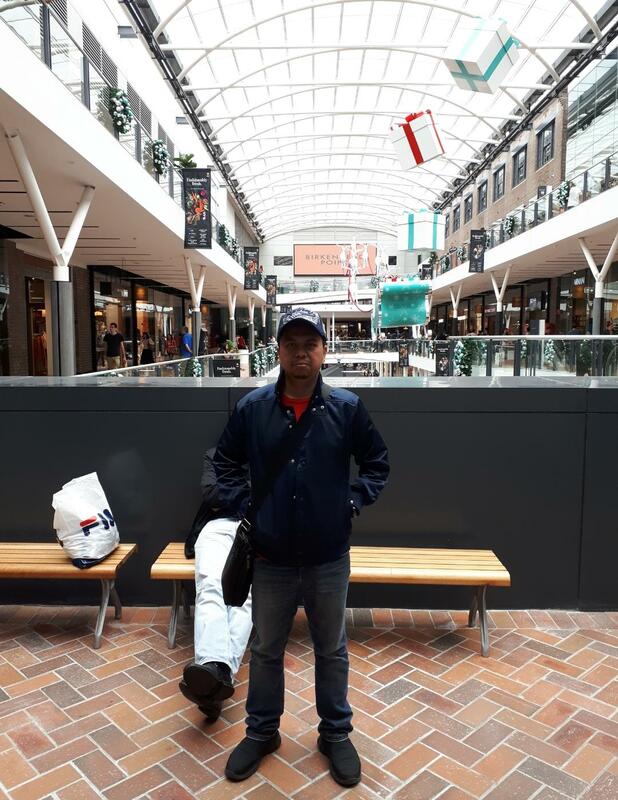 Kami terus gerak ke Belmont Forum Shopping Centre yang terletak kira-kira 23km dari Balga. Misi nak tengok corelle katanya…gulp! 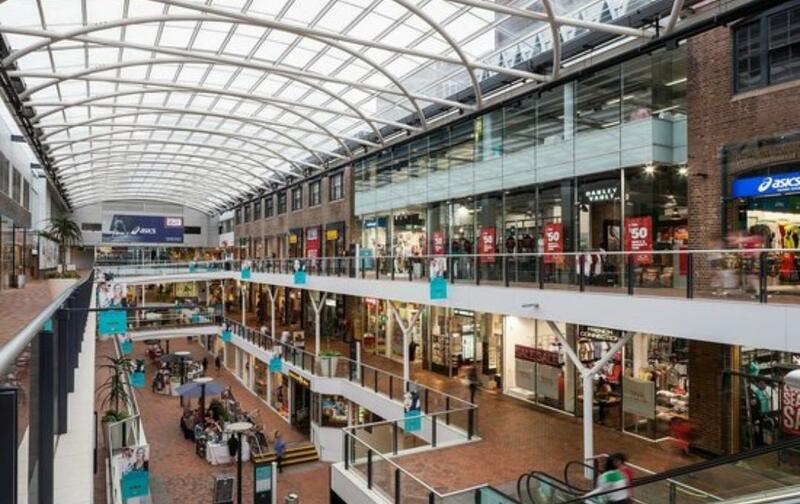 Belmont Forum ni adalah sebuah shooping mall yang besar kerana menggabungkan pasaraya besar seperti Big W, Coles, K-Mart dan Woolworth. 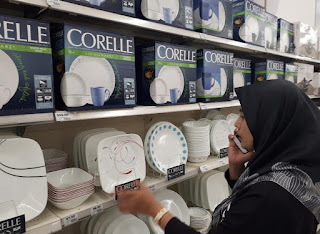 Al kesah mereka berkata-kata..jikalau bini tuan hamba berhajat untuk mencari pinggan mangkuk corelle maka carilah ia disini….nescaya bini tuan hamba tak berganjak-ganjak dari situ! 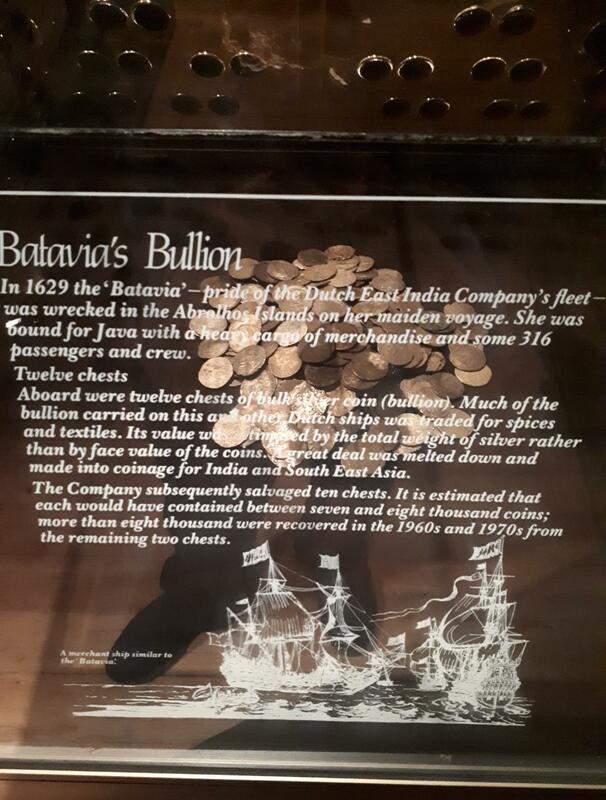 Kami beredar daripada Belmont Forum lebih kurang jam 10.45am dengan senyuman lebar beliau bersama kotak corellenya. 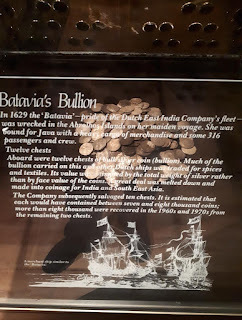 Dari Belmont kami decide nak pegi balik ke Freemantle sebab mama ada nak beli souvenir lagi dekat adik tiri sepupu kepada jiran mak dia kat ujung kampung tu…hahaha! Actually, kat Freementle ni ada WA Museum Shipwreck Galleries, muzium tinggalan bangkai kapal-kapal zaman dahulu kala, meriam dan barangan antik seperti pinggan mangkuk dan syiling purba zaman lanun macam Pirate of the Caribbean tu…best sangat muzium ni. Free entrance je…cuma diorang sediakan donation box kalau kita nak bagi sumbangan. Ralit jugak kami berada didalam tu sampai hampir jam 12.00pm. Kami gerak daripada Freemantle menuju ke Applecross yang jaraknya kira-kira 12km dari situ. 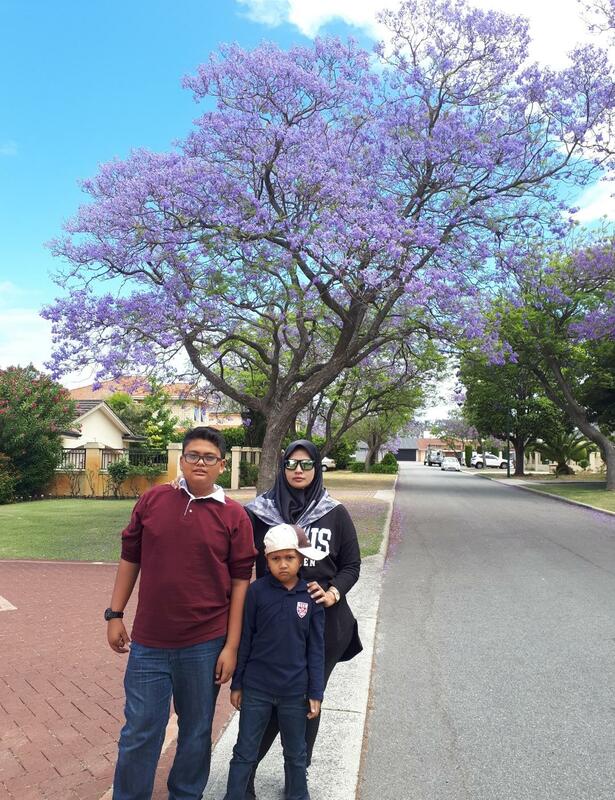 Yezza…nak tengok Jacaranda Tree. 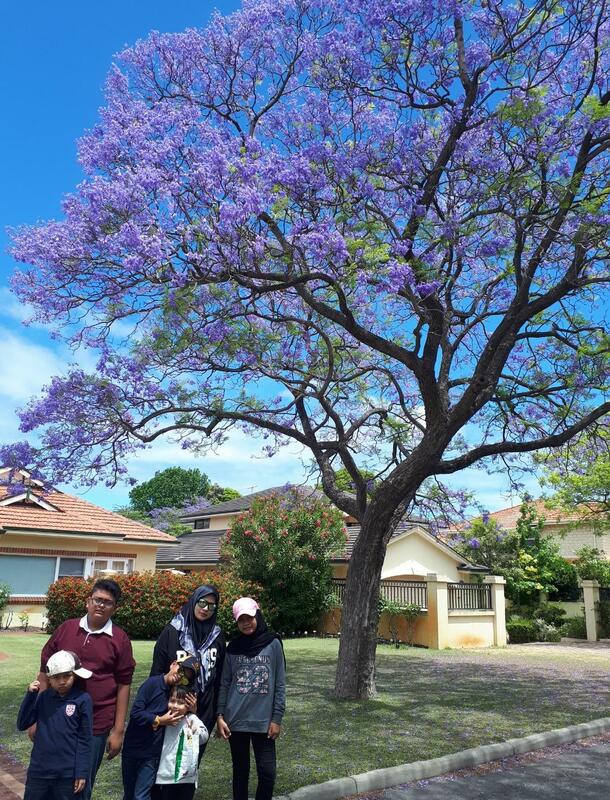 Kawasan Applecross ni terkenal dengan pokok Jacaranda yang berwarna purple tu. Kami drive menelusuri kawasan perumahan di sini…Subhanallah! Sungguh cantik pemandangan disini. 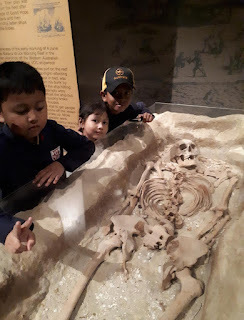 ”Bestnya kalu kita dapat duduk sini kan Ma!! 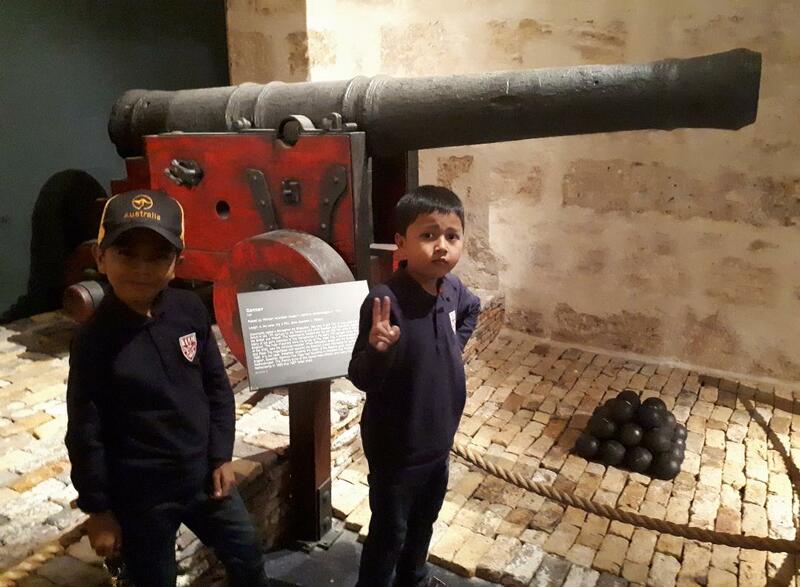 “…getus Imdad..hehe. 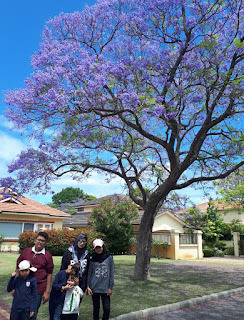 Komuniti kat sini ada organize annual event iaitu The Annual Applecross Jacaranda Festival ..kira macam karnival jualan lah bersempena dengan musim pokok Jacaranda. Ada macam2 stall makanan, persembahan dan aktiviti kanak-kanak. 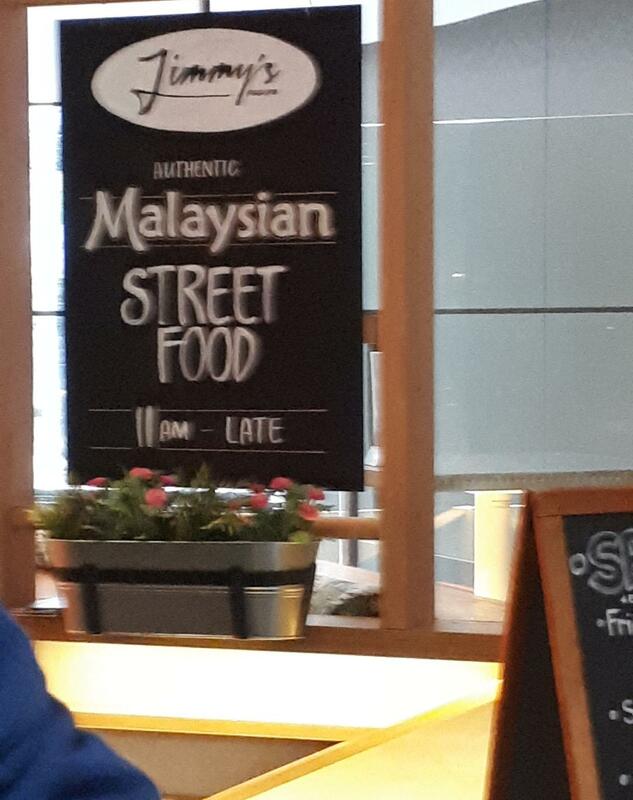 Kami tak lama kat sini sebab nak bergegas ke Airport.